Metal Gear Rising: Revengeance is a game that should satisfy no one. Somewhat disastrous in concept, it seeks to meld two distinct brands of crazy: that of Bayonetta developer Platinum Games and Metal Gear mastermind Kojima Productions. The result should be a mismatched spin-off, the shoddiest, most unsatisfying genre crossing this side of Dirge of Cerberus: Final Fantasy VII. To my complete surprise, Rising is an incredibly fresh character action game, but one marred by inevitable tonal dissonance. Set in the aftermath of MGS4, where the Patriots have fallen and chaos ensues, you play as the deadly-cyborg-ninja version of Raiden, rather than the pretty-much-just-a-practical-joke version found in the progenitor’s series’ second entry. 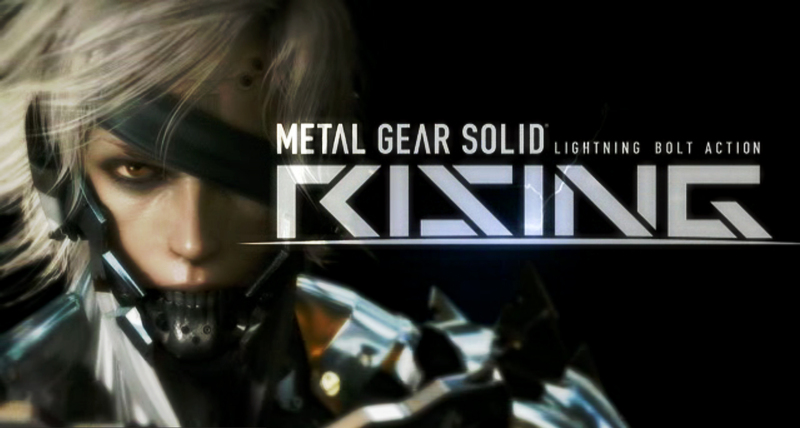 It’s largely about Raiden’s past as a child soldier, and how that affects his decisions in the present. Generally speaking, those decisions involve cutting a cyborg PMC a bunch and stealing their electrolyte-filled spine. It’s in that way that Rising‘s story seeks to play something of a long con; the majority of the game has a brash, “fight fire with fire” mentality that seems contrary to this world and these characters, but it does build toward something that feels thematically resonant. Oddly, that peak comes about two-thirds of the way through the game, and the remaining third jarringly pays little mind to those previous developments. Still, it’s interesting to see the state of the world post-MGS4, even if the framing device for it can feel a little shaky. There’s probably a good portion of people coming to this game with little to no interest in story, and I envy them. Platinum’s latest combat system probably isn’t their deepest, but it’s certainly one of their most rewarding. It toes a fine line between stylized button-mashing and honest to goodness precision, and it does so admirably. The combos aren’t terribly complex, but there’s a nice variety in the weapons you acquire Mega Man-style from bosses, and they all have noticeably different properties. There’s a point system that rewards you for higher combat ranks, and it feeds into your currency for upgrades. That part’s not exactly innovative, but it’s functional and welcome. Perhaps intended as a mission statement, there is no true defense in Rising. It laughs at your preconceived notions of “block” buttons. Instead, the only way to stop an incoming attack is to, well, attack. Parrying is an incredibly important part of staying alive, but mastering it is tough. Hell, mastering pretty much everything in the game is tough. There’s a definite learning curve, but after about a half hour, I was able to put up a good fight. The game uses a variety of smart visual indicators to try and keep the chaos measured. A red indicator will appear when a parry is due, and an enemy’s limb will turn blue when it’s ready to be cut off. You perform your isolated dismemberments in a special “Free Cut” mode, which slows down time and allows you the freedom of the selecting the angle of your cut. The analog control here is remniscient of Dead Island‘s melee combat, and there are control options available to tune it however you please. The “cut everything” staple is cool in concept, but somewhat limited in practice. The logic behind objects that can be cut and those that can’t sometimes feels contradictory, and while you can slice a car into a hundred pieces, there’s never a great reason for doing so. Most likely you’ll use up some energy, and be rewarded with an unimpressive-looking heap of scrap that slowly fades out of existence. A couple times you can cut the environment to your advantage by, say, destroying the support beams of the bridge an enemy is standing on. Those moments are generally pretty cool, and left me wishing Platinum had further developed the concept. Sunny’s back! No eggs, though. The camera can be unreliable, mainly in the ways most action game cameras are unreliable. In a couple fights I’d back into a wall and the camera would do a complete 180-degree turn without much warning, but those incidents decreased exponentially the longer I played. Either I became better at managing the camera, or the game put me in less problematic environments. Most of the time, it does a good job of highlighting the action. The elephant in the room, I’d suppose, is the game’s length. What you’ve probably heard is true: it can last anywhere from 4-7 hours on a normal playthrough. I’m personally a big fan of games that don’t wear out their welcome, but if that’s not enough raw content for your money, so be it. The game seems built for replayability, and there are a variety of collectibles and VR missions, if that kind of thing floats your boat. I’ve come to a bit of an impasse with Rising, because it does a lot of things, and carries itself in a certain way, that would be easy to dismiss were the game not so goddamn good. It mainly has to do with what I mentioned earlier: KojiPro’s brand of crazy versus Platinum’s. One of the remarkable things about Metal Gear Solid is that it manages to be entirely batshit while still generally serious and dramatic. Solid Snake is pretty much gaming’s greatest straight-man; a guy who, despite tangled webs of conspiracy and flamboyant enemies, always acts like he’s the star of any number of American action movies/political thrillers. And that’s part of the appeal certainly, the way MGS provides a deliberate clash between American and Japanese storytelling sensibilites, but it also feels more than the sum of its parts. Rising is exactly the sum of its parts, but all of the parts are constantly exploding, and have speakers that blast head-banging metal. The content feels similarly crazy, what with its long-winded speeches about war profiteering and the shaky nature of the American economy. It just leans a little too heavily into itself. If you can manage to distance the property from the game, what you have is something undeniably energetic and excellent. The cutscene-to-gameplay ratio is reasonable for the uninitiated player, and there’s no shortage of inventive encounters and thrilling setpieces. It’s more Platinum than KojiPro, which is fine, great even, but now that I’ve completed the game, I can’t help but feel that the mix could’ve been more elegant. 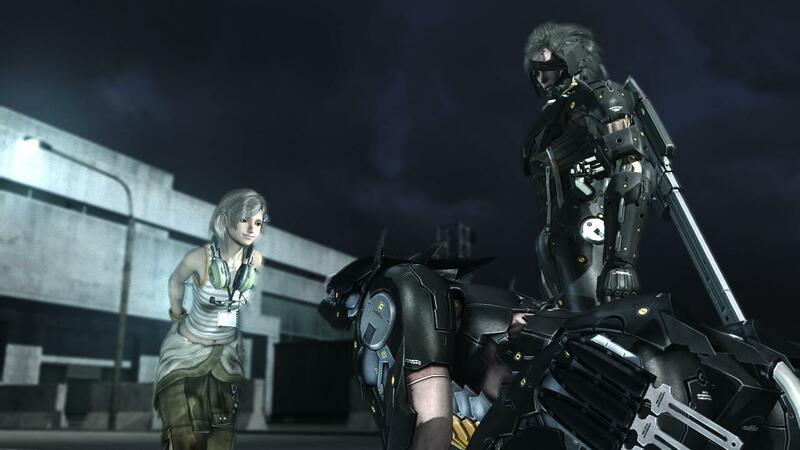 All this is to say that Metal Gear Rising: Revengeance is a game very much worth your time. It’s a successful spin-off on the strength of its gameplay alone, and there are some great moments in the story that wouldn’t feel out of place in the main series. It’s possible I’m entirely alone with my tonal issues, and I don’t want to claim I know what the Metal Gear name should mean or should be. That said, the first time the alert phase started, complete with authentic sound effects and fonts, something just didn’t feel right.